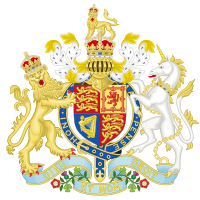 Before his accession to the throne, Edward was the longest-serving heir apparent in British history. 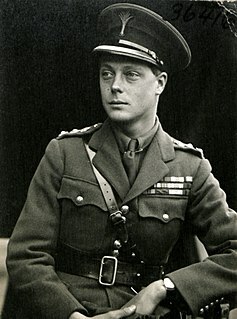 He was surpassed by his great-great-grandson Prince Charles on 20 April 2011. 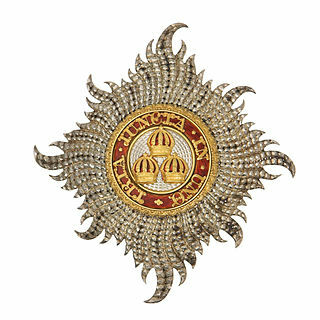 The title Prince of Wales is not automatically held by the heir apparent; it is bestowed by the reigning monarch at a time of his or her choosing. 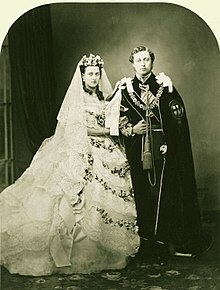 Edward was the longest-serving holder of that title until surpassed by Charles on 9 September 2017; Edward was Prince of Wales between 8 December 1841 and 22 January 1901 (59 years, 45 days). 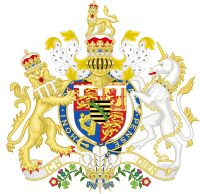 Charles was created Prince of Wales on 26 July 1958 (60 years, 266 days ago). 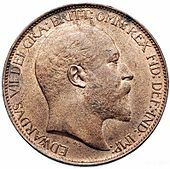 George V was King of the United Kingdom and the British Dominions, and Emperor of India, from 6 May 1910 until his death in 1936. Alexandra of Denmark was Queen of the United Kingdom and the British Dominions and Empress of India as the wife of King Edward VII. Haakon VII, known as Prince Carl of Denmark until 1905, was a Danish prince who became the first king of Norway after the 1905 dissolution of the union with Sweden. 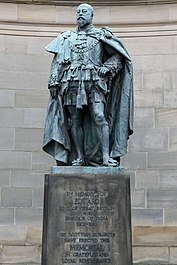 He reigned from November 1905 until his death in September 1957. Olav V was King of Norway from 1957 until his death. Haakon, Crown Prince of Norway is the only son and younger child of King Harald V and Queen Sonja and heir apparent to the throne of Norway. 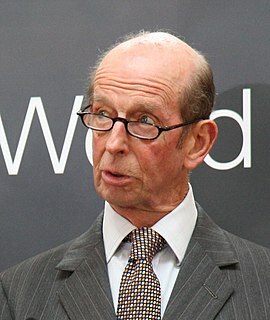 Prince Edward, Duke of Kent, is a member of the British royal family. 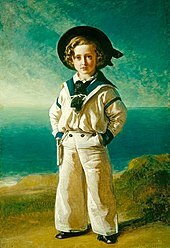 Prince Leopold, Duke of Albany, was the eighth child and youngest son of Queen Victoria and Prince Albert. 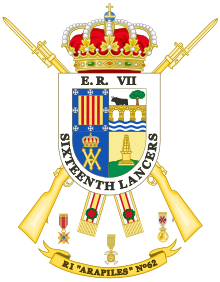 Leopold was later created Duke of Albany, Earl of Clarence, and Baron Arklow. He had haemophilia, which led to his death at the age of 30. Prince Arthur of Connaught was a British military officer and a grandson of Queen Victoria. 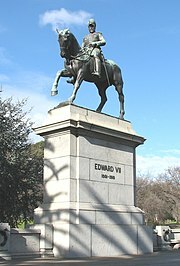 He served as Governor-General of the Union of South Africa from 20 November 1920 to 21 January 1924. 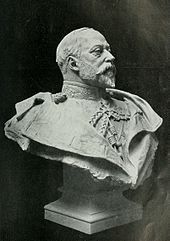 Ernest Augustus, Crown Prince of Hanover, 3rd Duke of Cumberland and Teviotdale, was the eldest child and only son of George V of Hanover and his wife, Marie of Saxe-Altenburg. Ernst August was deprived of the thrones of Hanover upon its annexation by Prussia in 1866 and later the Duchy of Brunswick in 1884. 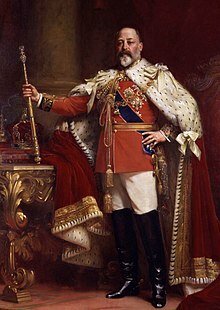 Although he was the senior male-line great-grandson of George III, the Duke of Cumberland was deprived of his British peerages and honours for having sided with Germany in World War I. Ernst August was the last Hanoverian prince to hold a British royal title and the Order of the Garter. 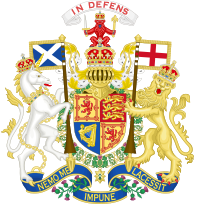 His descendants are in the line of succession to the British throne. Colonel Sir Edward Ridley Colborne Bradford, 1st Baronet, was a British Indian Army officer who later served as Commissioner of Police of the Metropolis, head of the London Metropolitan Police, from 1890 to 1903. 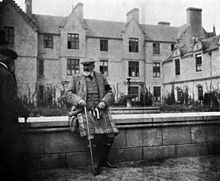 Sir Ernest Joseph Cassel, was a British merchant banker and capitalist. Born and raised in Prussia, he moved to Britain at the age of 17. Sir Francis Henry Laking, 1st Baronet, was an English physician who was Surgeon-Apothecary in Ordinary to Queen Victoria, and Physician-in-Ordinary to King Edward VII and King George V.
Edward VIII was King of the United Kingdom and the Dominions of the British Empire, and Emperor of India, from 20 January 1936 until his abdication on 11 December the same year, after which he became the Duke of Windsor. Prince Victor Albert Jay Duleep Singh was the eldest son of Maharani Bamba Müller and Maharaja Sir Duleep Singh, the last Maharaja of Lahore, and of the Sikh Empire, and the grandson of Maharaja Ranjit Singh. 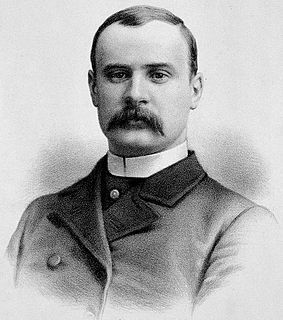 Sir Frederick Treves, 1st Baronet was a prominent British surgeon of the Victorian and Edwardian eras. An expert in anatomy, Treves was renowned for his surgical treatment of appendicitis, and is credited with saving the life of King Edward VII in 1902. 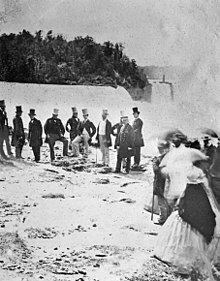 He is also widely known for his friendship with Joseph Merrick, dubbed the "Elephant Man" for his severe deformities. Luis Maria Augusto Pinto de Soveral, Marquês de Soveral was a Portuguese diplomat. 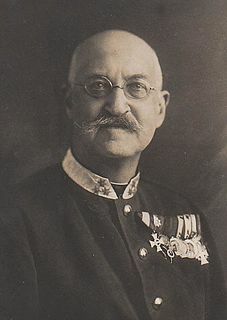 The Kaiser nicknamed him "the Blue Monkey". 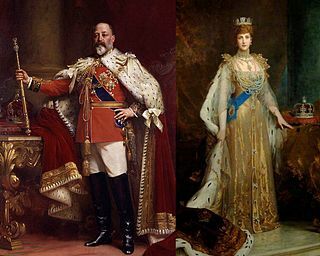 The coronation of Edward VII and Alexandra of Denmark as King and Queen of the United Kingdom and the British Dominions took place at Westminster Abbey, London, on 9 August 1902. 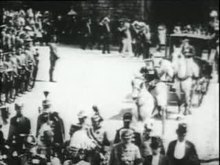 Originally scheduled for 26 June of that year, the ceremony had been postponed at very short notice, because the King had been taken ill with an abdominal abscess that required immediate surgery.